Best Western is a chain of hotels that has 208 venues across the whole of the United Kingdom. Within Suffolk you will discover some fine examples of these independently-owned hotels, each one packed to the brim with its own unique character and charm. Please find below more on each Best Western Hotel located in Suffolk, and click on the links provided for further information such as contact details and availability. Do you seek a peaceful getaway from city-living? If so, the Best Western Priory Hotel, Bury St Edmunds is for you. One mile from the centre of medieval Bury St Edmunds, this delightful historic house surrounded by beautiful private gardens and offers all guests a first-class, attentive service. The hotel is decorated in bright colours and has a wonderfully traditional country feel. There are 38 comfortable en suite rooms to choose from, featuring all mod cons, and the 2 AA Rosette-awarded Garden Restaurant offers a marvellous menu featuring blends of British and European cuisine, plus an extensive wine list. A large range of room service snacks and bar meals is also available throughout the day. The spacious grounds make the Priory an ideal venue in which to hold your business conferences, or to celebrate your wedding reception in style. Parking is free and the Hotel offers spaces for up to 60 cars, so your guests will be well accommodated. This hotel offers great value for money. 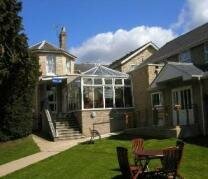 Best Western Gatehouse, Ipswich, offers visitors the ultimate in peace and tranquillity. Located in a conservation area on the outskirts of Ipswich, away from the hustle and bustle of the town centre yet still conveniently close for shopping , dining and day trips out, guests will discover a secluded Georgian house surrounded by attractive gardens and 3 acres of grounds. This hotel really is an 'escape-from-it-all' haven of comfort, and would suit those seeking a romantic hideaway. The bedrooms offer modern facilities combined with warmth and elegance, and there is a fully equipped room for meetings and conferences, should your business require a peaceful location for this purpose. Finally, the Best Western gatehouse is the perfect venue for guests who plan to stage an intimate wedding, reception or private celebration to the highest of standards. Best Western Heath Court Hotel, Newmarket is a modern, town hotel just 3 minute's walk away from the High Street and town centre, yet is still full of character. There are 41 large en suite bedrooms that each includes all expected facilities plus satellite television, DVD player, and quality toiletries in all luxury bathrooms. 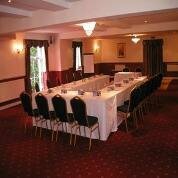 There are conference rooms with seating for up to 130 delegates, and banqueting rooms for weddings and receptions. Specially designed Wedding Packages are also offered, as well as catering for any private celebration. The hotel has its own restaurant serving a daily carvery plus a wide selection of other dishes, and Tipsters Bar, where guests can relax with friends. For fans of horse racing there is no better option, as Heath Court is located just 5 minute's drive away from the Newmarket Races, and some of the town's racehorses can be spotted of a morning training & exercising on the Newmarket Heath that neighbours the hotel. 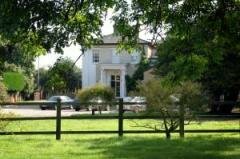 Best Western Claydon Country House Hotel, Ipswich, is a large country house hotel that has been tastefully renovated to include modern features and facilities. 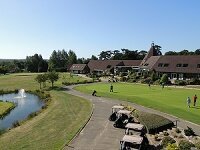 Conveniently located with easy access to both the A14 and A12 from London, this hotel makes an ideal choice for your business conference or private celebration needs. The purpose built conference and banqueting suite features attentive staff, a bar, air conditioning, WiFi, full catering facilities, plus extensive car parking for all of your guests. If stopping overnight or on holiday, you are sure to experience an easy and tranquil stay. There are 36 stylish rooms to choose from, and a charming Victorian-styled dining room serving first class cuisine and overlooking the pretty gardens. There is also a relaxing lounge bar. The hotel is close to Suffolk's Heritage Coastline, making it the perfect place from which nature lovers can base their explorations. 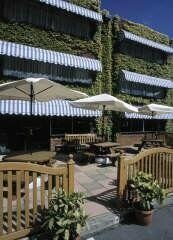 For all the latest getaway deals & bargains please see Special Offers from Hotels in Suffolk. What do you think of the Best Western Hotels in Suffolk? Send us your views to suffolkguides.admin@suffolktouristguide.com.